Celebration of Student Writing included an open mic to encourage students to share their stories. 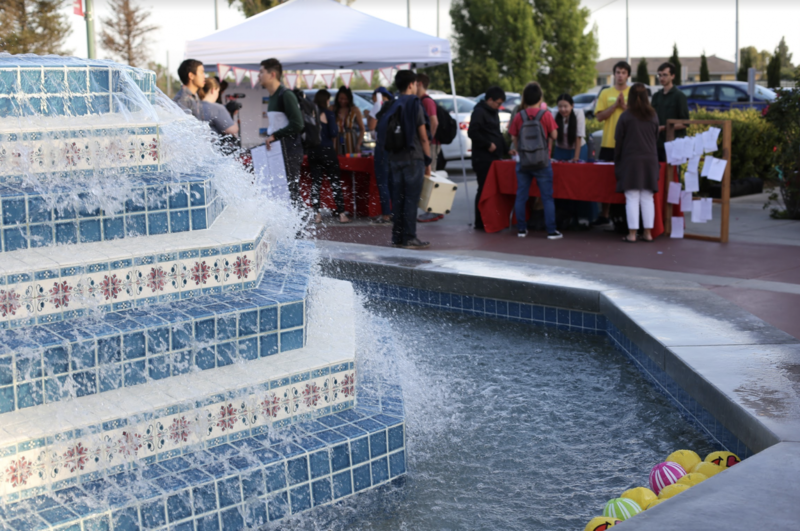 In this year’s Celebration of Student Writing, which took place on April 15, the English department included its first-ever open mic, presenting students’ poetry, as well as fiction and non-fiction pieces at Fluor Fountain. Students in the spring semester of English 112 presented everything from original poems to paintings at their interactive booths. When students checked in, the information desk provided free shirts for attendees and were encouraged to collect tickets that could be redeemed for prizes, such as stickers, cotton candy and popcorn. According to English professor Dale Sprowl, the CSW focused on this year’s Biola theme of Spirit and Story, emphasizing the analysis and research of biblical stories to unify narratives under Christ. In keeping with the theme, the English department decided to include an open mic, where previous student applicants had the opportunity to present their written works to those attending. Two open mics were held, one at 5 p.m. and the other at 6 p.m.
Additionally, booths featuring students’ research projects surrounded Fluor Fountain, instead of the usual location, Metzger Lawn. According to reference services librarian Stacie Schmidt, the new location encouraged students’ involvement in all the activities. 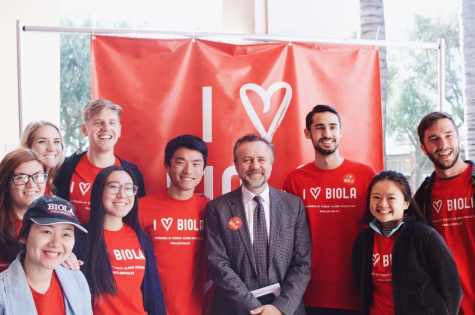 During the celebration, students were given the opportunity to share research from their classes to impact Biola’s campus for Christ. Freshman studio arts major Noa Melendez researched a poem about Mary Magdalene’s relationship with Jesus. According to Watson, the event allowed student writers in the English department to share their research with their peers and receive feedback as part of the writing process. “Giving each other feedback and participating in your scholarship, in your writing, in whatever you’re inhibiting, talking through it and having the social part play into the work is invaluable to the learning process,” Watson said.